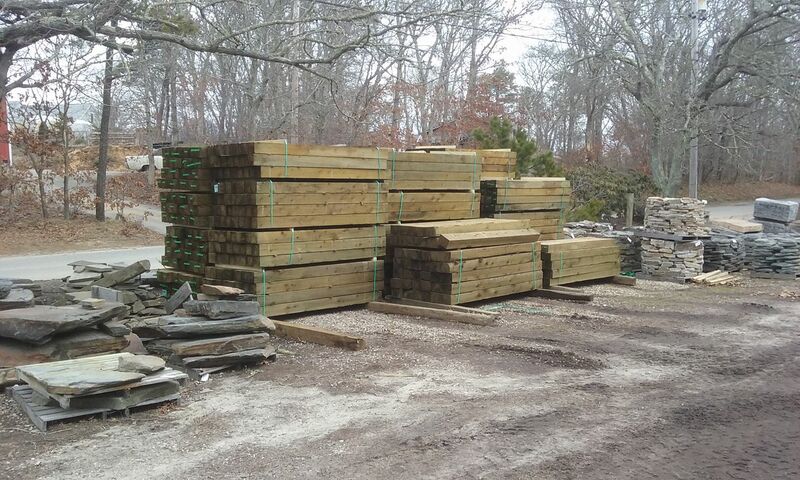 Our landscape ties are made of hemlock and are 40 year (limited warranty) guaranteed. Use them to line a driveway, create steps, or build an affordable retaining wall. They are compatible with ½” rebar, or for easy installation, use our 10” Timberlocks. Ties can be purchased individually or by the lift. Our ties are true measurements, meaning the 5.5" and 6" dimensions are actual.